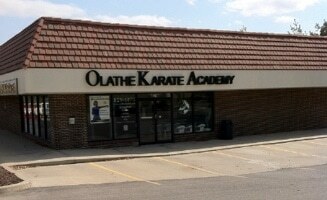 In this Kicksite Success Story, we feature Olathe Karate Academy, owned and operated by the husband and wife team of Jamie and Ashleigh Palmer. We spoke with Jamie to learn more about what has made his business successful. Tell us a little about your school. We are primarily an Okinawan-style Kenpo school, but we have a jujitsu system and a weapons system. We also do a couple of fitness classes: Power-Fit Kickboxing and Power-Fit Yoga. We teach students as young as 3 and 4 years old in our Karate Kubs program. I opened the school in 1999 with my instructor, Dean Kennedy, and bought him out and took full control of the school a year later. We currently have about 260 or 270 students, but we have been as high as 300 students. Why did you decide to open a martial arts school? Well, I have studied music and martial arts since I was a child. Since graduating college as a piano performance major I have chased the dream of performing music professionally, but that doesnt provide a very steady income. I looked to martial arts to bring in a more consistent paycheck, and when my instructor decided to expand we went in on this location together. As a new school, it wasnt profitable enough income to split between two owners, so it worked out better for my instructor to focus on the first school while I took over this school. Weve had our ups and downs, jumping way up then dropping back down in 2005 and 2006. We moved from the middle of this shopping center to our current corner location and that helped. Helping people, creating leaders and bringing families closer together. Obviously martial arts has both self-defense and fitness aspects, but it also teaches important values such as discipline, focus, confidence and goal setting. I try to teach in a way that sends my students out into the world more confident and positive than when they came in. And I think that is what has helped my school to grow. The school has grown from just me teaching every class to having a team of leaders, including my wife Ashleigh who is my second in command as well as team of 5 or 6 other instructors who are helping teach these martial arts and instilling the values in our students. For families we only have two rates, so if parents are bringing their children in and realize they can train alongside them for the same price then were creating a shared experience. Sure you can take your kids to play soccer, but youll only be able to watch from the sidelines. This is something where mom and dad can get out there on the mats with their kids and do it together. How did your wife become part of the business and how does that impact your ability to run the school? My wife was a student, probably the best female Ive ever trained, and we just clicked. She has trained for over 10 years and she brings a lot of complementary qualities to my own management style. And since martial arts is a big part of my life its nice to have a wife that cares about this as much as I do. She had the idea to start the Karate Kubs program, which I never would have done on my own. She also helped revitalize our Power-Fit program, which I dont enjoy teaching quite as much as the traditional classes and self-defense. Shes also great for dealing with some of the younger students that may be a little more intimidated by me. What are the greatest challenges of owning and managing a martial arts school? Growing and managing the business side of things. I think thats the part that people underestimate. People see my car here at 9:00 AM knowing that I teach until 9:00 PM and ask me what Im doing. Well, someones got to pay the bills. I probably teach only 30% of the time and the other 70% of my time is focused on marketing and operations. When I talk to younger students who are considering starting their own school I tell them You better love it because its not always easy. You can have great students and great classes, and you can have some tough ones and you have to be ready for both sides of that coin. How did you learn about Kicksite? About 4 years ago, a representative from Kicksite stopped by my school and introduced the software to me. He had a trial offer, so we decided to give it a shot. We quickly grew to love it. We were one of the first clients, so we corresponded closely early on, discussing features and making suggestions to make it more useful. And they kept making it better and thats why we stuck with them. For example, the attendance function now has a counter that tells me how many classes they have attended at their current rank so I know when theyre due for their next promotion. Were you familiar with or using other school management software systems before you were introduced to Kicksite? If so, was there anything that appealed or did not appeal to you about those systems? No, we were just using cards with attendance on the front and rank on the back. It was very tedious and inefficient compared to what we do now. Why did you ultimately decide to go with Kicksite? For me it was a no-brainer. It was cheap at $99/month to start, and for the amount of time it saved me it was an easy decision. With more time I can do more private classes or spend more time at home with my family. Another reason that I liked Kicksite initially was that it was designed and developed by martial artists, and I could discuss features with them and they would understand why I would want something to function differently. What elements/features of the Kicksite platform were most appealing to you in the beginning? The attendance feature is very useful. My old instructor still uses attendance cards in a box and I laugh because I cant imagine going back to managing attendance that way. We have classes of 40 back to back and if I had to manually take attendance Id be losing 10 minutes per class. What other features have you implemented that have made your management responsibilities easier? The automated correspondence feature works well. For example, the automated absent student message starts a dialogue with students and families that havent been to class recently, and I get email responses, which I can then respond to personally. They dont realize the first message is automated and it helps me develop my relationship with new students and families. Even the older students like receiving those automated messages, as it reminds them to reprioritize their martial arts training. The prospecting follow-up reminders are also very useful because they help me keep tabs on my prospects. Ive had prospects that Ive worked on for years that finally came in, loved the classes and signed up the whole family for 18 months. That makes it all worth it. The student user accounts are also great. Now that I have a larger teaching staff, sometimes I teach classes where I dont know all my students. When that happens, I can quickly cycle through the students checked into the class to put a name to the face without having to look silly by asking the student his or her name. On a similar note, we can look at past correspondence or comments to quickly get caught up on a students history should any issues arise. It also helps me and my wife stay aware of everything thats happening in our school without having to be there all hours of the day. And since its web-based I can even log in while on vacation to see whos coming to class or what else is going on while Im gone. Weve grown through the recession, partially due to moving to our current corner location which not only gave us more square footage but also greater visibility. My wife and my team of instructors have also played a part in our growth. Our school enrollment jumped quickly when we started using Kicksite because we started doing things differently. It allowed me to change the business model to allow for month-to-month or other short-term membership arrangements to get people in the door, and automating the renewal process to keep our retention high. I wouldnt have been able to manage that before. Now I have alerts and reports that help me keep track of everything and its definitely raised our bottom line. Do you have any major goals for your business? My push for 2013 is to get us back over 300 students. I think our school has a capacity of around 350 without sacrificing quality, so I think its realistic. Id like to add a few more instructors as well. I dont have any immediate plans to expand, as its not an easy business to duplicate. Its certainly not a pizza chain where I can teach anyone to make the pizza. As for the future, are there immediate challenges do you believe your business will face in the next year or two? I know that MMA is growing, but Im not really worried about it affecting my business because thats not the demographic Im going after or the direction that Im going with my business model. Im focused on families. Ive enjoyed watching a lot of taekwondo schools come and go over the last 14 years. At one point I was surrounded by 5 schools in a 2-mile radius. But Im still here and still growing. What would you say to others who are not using Kicksite or perhaps not using a school management system at all? Just give it a try. It really is simple to use. The hard part is convincing those that arent using it that its worth it. I know from experience that its worth it, but thats the hurdle. Id be willing to offer a 2 or even 3-month trial to get people to try it because Im confident they wont want to give it back after that. 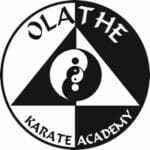 For more information on Olathe Karate Academy, please visit their website or Facebook page, email or call 1-913-829-3873.